I try and do my best to recycle, compost, and reuse. I recycle the paper at work. Travis uses the compost for the garden, and we pretty recently got compost worms. 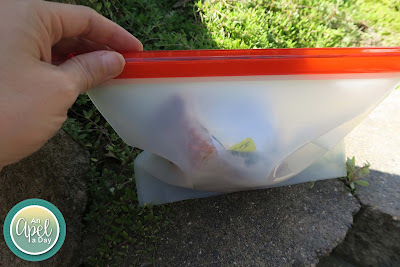 We reuse lunch bags, water bottles, most sandwich bags, and grocery bags. Of course we reuse things to create art. I'm a big believer in doing all I can on my end to help our home. Am I perfect, no. I could always do more. 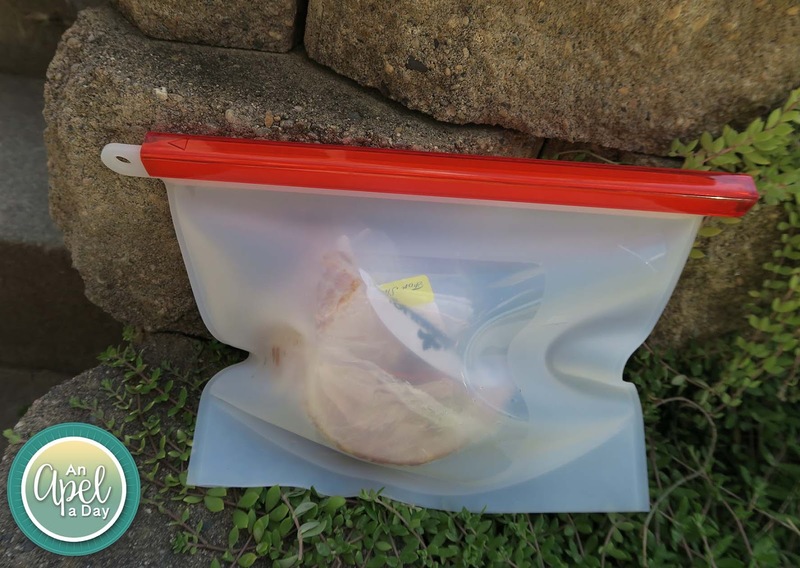 I'm happy to introduce you to Silicone Food Storage Bags! I know we'll use them a lot! Right now I have a 1/2 of a ham in one of them. Typically I'd put ham in a ziplock plastic, throw away bag. Not any more. I have net produce bags. I like using them, but often they don't hold moisture in the produce. I can see using these bags for produce! They also hold liquids. In fact there's measurements on it. Berries that I pick would work great in these bags! The red sliding bar is not easy to slip on and off. I think I have it down. One came slightly cracked on the inside. It still works just fine. You can get this 3 set of bags for $17.95 on Prime: https://www.amazon.com/s/ref=nb_sb_noss?url=me%3DA3QIJRLLPWHGOF&field-keywords=silicone+food+bags. 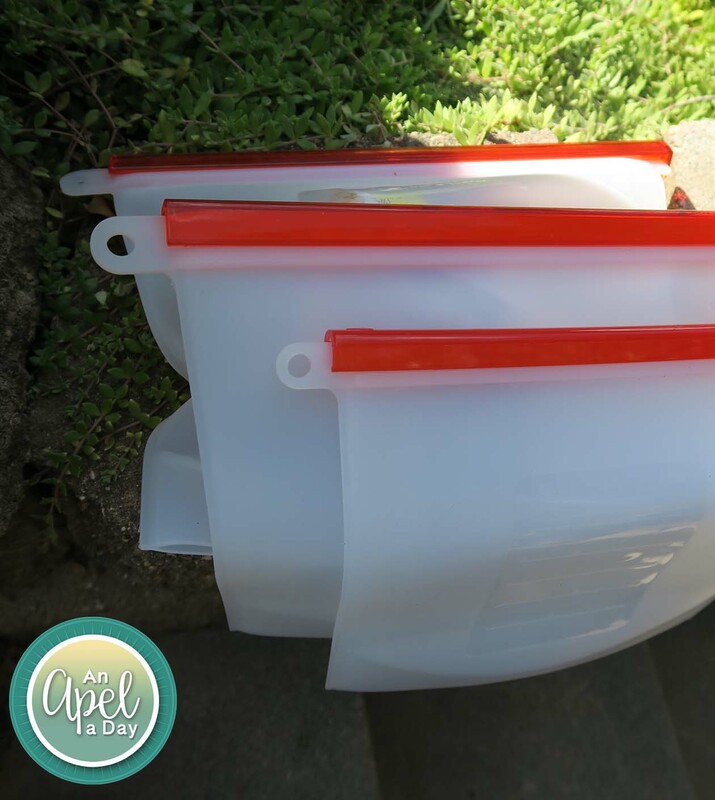 2 Large Bags that carries 50 ounces or 6 cups. 1 Small Bag that carries 30 ounces or 4 cups. What would you use in these bags? Disclaimer: I got this product for a discounted price, or free in exchange for an honest review. These would be great for lunches that Allison and Jason pack daily. That's good to hear they are easy to clean. I always wondered if bags like these would be a pia to keep clean.